Shell looking to support Egypt's favorite sport. 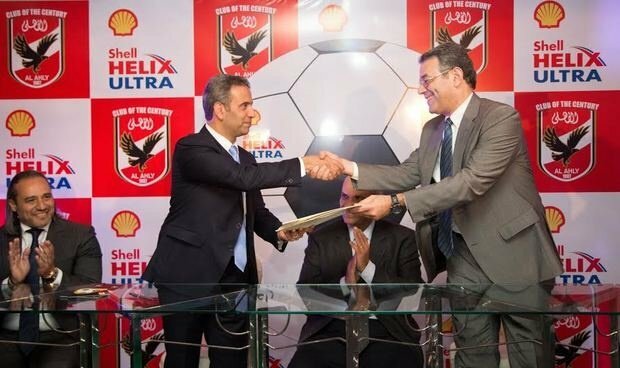 Shell Lubricants Egypt, the leading premium motor oil distributor in Egypt, signed with the Board of Director of Al-Ahly Club a sponsorship contract for the first football team. 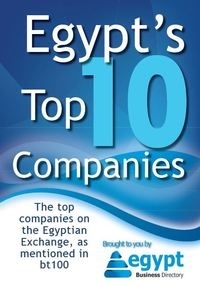 The sponsorship contract stems from the company’s willingness to encourage and support sport activities and that brings joy and happiness to Egyptians who admire football above all. The signing ceremony was attended by members of the board of Al-Ahly Club headed by Eng. Mahmoud Taher, the Chairman of the Board, footballers of the first team led by Juan Carlos Garrido, the team’s Manager. The ceremony was attended also by Mr. Saher Hashem, Managing Director of Shell Lubricants Egypt, Mr. Haitham Yehia, Marketing Director and Mr. Khaled Seif, Direct Marketing Manager. “We are very delighted with such a step” said Mr. Hashem, Managing “We pride ourselves for sponsoring Al Ahly Club, the club of the century and one of the most acclaimed, popular and winning teams in Egypt and worldwide. It's a club with more than a century of magnificent history, featuring extensive local, African and global participations. On the other hand, football is definitely Egyptians’ great passion, which extends to other competitions worldwide. That's why Shell Lubricants was keen to sign this sponsorship contract, as a way to acclaim the prestigious team and to share football passion with fellow Egyptians, who support their beloved team” he added.